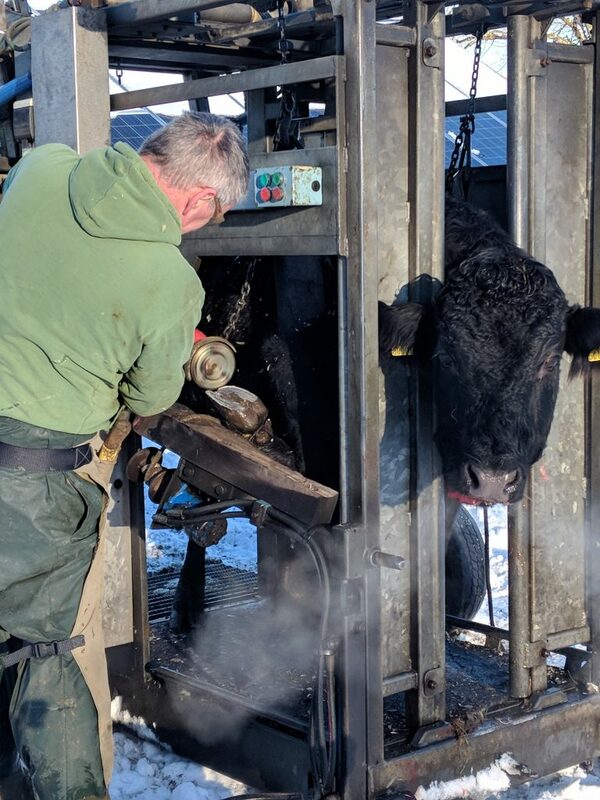 Last weekend was a short notice visit from the hoof trimming man. We only have the 2 Dexter cows (plus calves) so we had to fit in around his other workload with larger, commercial herds of cattle. As usual when doing anything with our cows, my first concern was whether I would be able to pen them all safely in preparation for the visit. I’ve definitely learned that if you don’t get them all into a pen at the first attempt then the job immediately becomes considerably harder. It’s even harder if they sense that someone new has arrived because that makes them even more cautious! Luckily we have fairly well-behaved cows when it comes to moving them around and they happily followed me between fields and straight into the pen before the hoof man arrived. Although I should confess that this wasn’t so much my handling skills as the fact that their breakfast was waiting for them in the pen and they were hungry. Our Dexters were certainly overdue for this work because we kept putting off the job for the past few months. Originally they were too close to calving but then the calves arrived and we didn’t want to add any stress. After that the bull was visiting during the tail end of summer last year and before you know it we reached December and the hoof man was busy anyway. I think it’s safe to say the cows just about tolerated the inconvenience and discomfort with good grace. 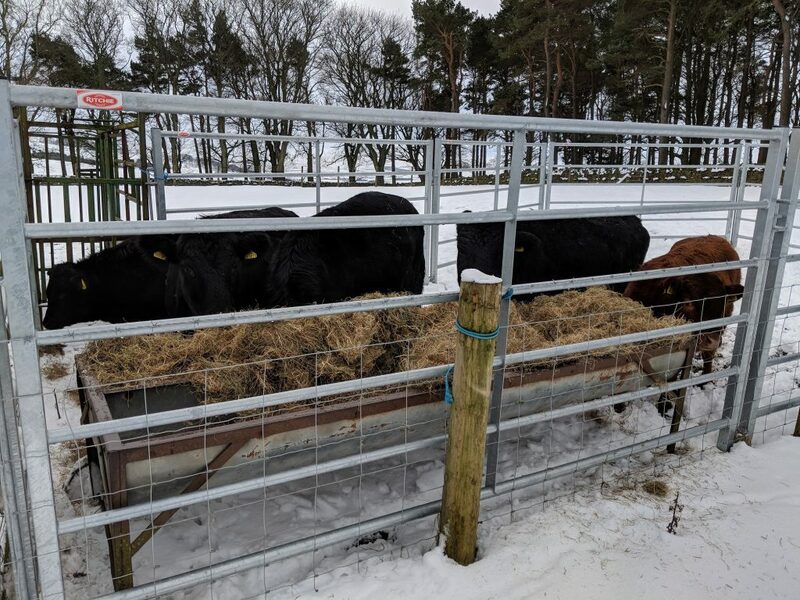 There were a couple of times where each of them decided to thrash about a bit but that’s when decent cattle handling equipment comes into its own and they soon calmed down again. The actual hoof trimming only took about 30 minutes, it probably took longer getting setup in the first place and then packing up again afterwards. Luckily the cows soon got over the indignity of the whole episode and they seem to have forgiven me now. 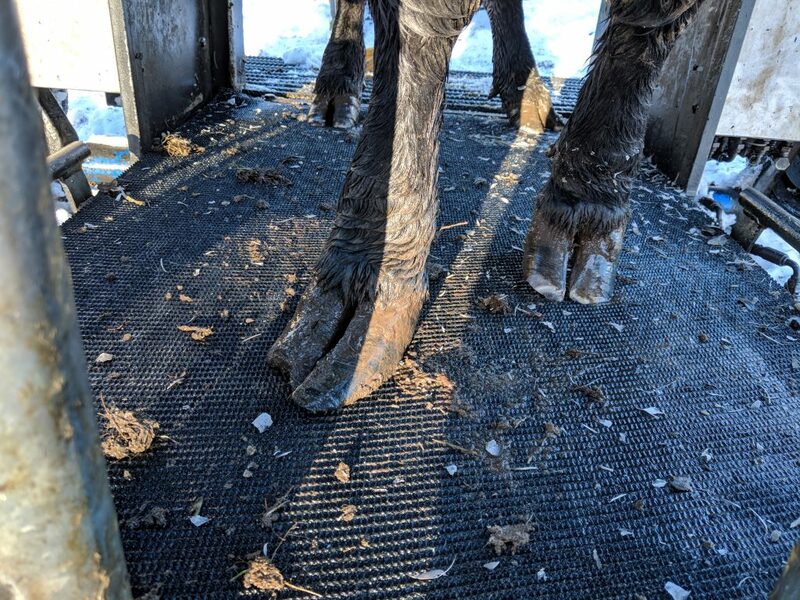 Wow, thank you for sharing this – what patient animals – I am sure that they appreciated the trim and have has some relief. I think its amazing that their limbs are just like our fingers, nails and all.